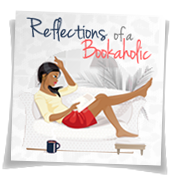 Reflections of a Bookaholic: Reflections: How To Keep Up With Your Wishlist? Reflections: How To Keep Up With Your Wishlist? Since I've started blogging, I've gained an outrageous wishlist/TBR (it's all the same to me). The difficult part has been keeping up with it all. I've often wondered...How does everyone do it? I like to pretend like I'm super organized and really on top of it all but usually I'm floundering. I tried to use Goodreads to organize my wishlist but I quickly abandoned it. I wasn't familiar enough with the site initially and I wanted to keep track of where I was getting my recommendations. Though, Jennifer from Book Den created a great tutorial on how to create exclusive shelves on Goodreads and I want to give it a try. Then I tried to use OneNote, which is available for PCs who have Microsoft. I should mention that OneNote is my life. I use it for EVERYTHING. I created tabs for different genres and copy/pasted the covers of books that I wanted to add to my wishlist into the OneNote. I liked this method because it automatically copied the link from the site hosting the image, allowing me to keep track of both reviews and bloggers, which means I didn't lose track of who inspired me to add the book to my list. Oh but ever the lazy 3L, even that method became a bit much and I was soon disorganized and confused. I gave up once again. Mostly because I became to lazy to open the OneNote app (yes...I'm that lazy). So now... DRUM ROLL PLEASE... I use Pinterest. It's so awesome! I have a board for each topic or genre and I have a little pin it button at the top of my browser. I come to a great review that excites me, click the button, choose the image I want to pin and the board, and voila... all done! The pin will always take me back to the original site of the review and it is my list is super pretty! 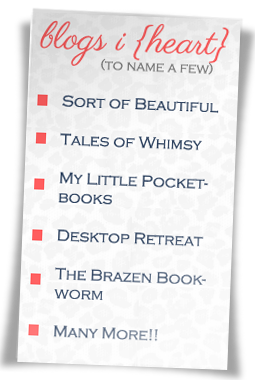 I know that many of you have super organized methods of organizing your Wishlist/TBR. How do you do it? Which factors are important to you? Do you keep track of who recommends the book? I still haven't managed a way to prioritize the books I want to read/buy the most? How do you manage that aspect of your TBR? i love pinterest! i haven't used it for books yet though, I mostly use goodreads for that. I'm so lazy :) I needed the easiest thing possible. Although I do love Goodreads. Great idea! I like to use the 'recommended by' field on Goodreads if I need to remember where I first heard about a book. I may totally steal your pinterest idea, though, since I love pinterest and it would be pretty. :D Thanks for the mention, hon. Oh I didn't notice the recommended by field. That is good to know. I love pinterest! I will have to create a wishlist board....oh yeah! I'm finding pinterest to be so addictive and fun. Like I really need more distractions. Love this idea! My wish list is ever growing & expanding regarding books I want to read. Mine too! It is getting out of hand. Great idea - I can't ever remember where I heard about a book, so I don't even bother to try anymore. 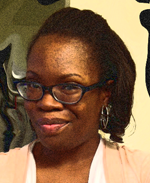 I make book lists on my blog, and read from that. I don't plan more than 5 books ahead these days. I can understand that. I get so excited about so many books that I want to keep track of them for my every mood. I have different shelves but I never update them. I guess that's the problem. Oh that is smart. You link to the original review that sparked your interest and then have that to refer back to. Brilliant! Well done! Thanks for sharing. It works for me :) I think. Lol. I had created an excel log but Pinterest sounds so much easier. I signed up for it a few weeks ago but haven't had time to really explore it. I'll have to get on that so I can begin adding to the TBR. Gosh this sounds like it's going to be a lifesaver. It really is as long as you put the little Pin it button on your tool bar. It is so easy and it is fun too. My wishlist is on Goodreads, and I must admit that I make no effort to organize it. Your way sounds pretty fantastic though. I never updated my Goodreads list other than to keep track of which books I completed. I like to be organized but I like it to be simple and easy as well. 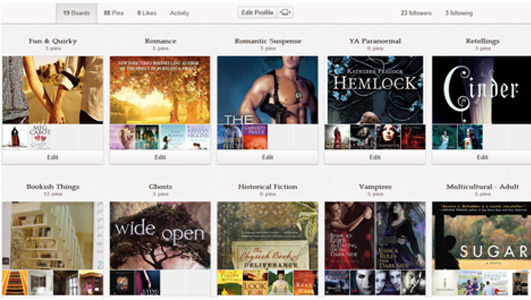 I use Goodreads, I love the idea of using pintrest though - great idea! I have two hand-written list, a list in amazon and another one in bookdepository. And they are all so different I'm not sure they are much help. I need to be more organized about it. The Pinterest thing you do sounds like a good method. I can't believe you have hand-written lists. I would have lost those for sure. I try to be organized but ahhh...I guess it depends on my mood. I have a wishlist shelf on Goodreads, which is an exclusive shelf, so it doesn't interfere with my to read shelf (which is only books I own and haven't read yet - a number I really like to keep track of). I don't really add a whole lot of books to it, though. I try not to let myself get intrigued by too many things when I already have a to read shelf with about 670 books on it! My TBR and wishlist have become one and the same. There are books on my shelf that I haven't read but if I'm in the mood for a book that I don't have, I get it from the library or buy it. This doesn't happen often as I have so many books that I have accepted for review. I keep losing track of everything -- Goodreads, handwritten lists, etc. I think I'll start one on Pinterest, as well. Great idea! Thanks! I kept losing track of everything as well. I really like to be organized even though sometimes I'm too lazy to be organized. For my wishlist..I just use Goodreads. 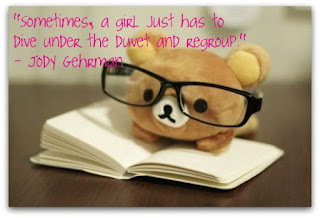 But most of the time I forget to shelf it as 'wishlist.' *facepalm* But I do tend to remember the titles of all the books I like. I might try Pinterest though! I couldn't figure out how to shelf something as Wishlist for so long because it didn't appear as one of my options. Once I figured it out, it was too late. I already had some other system that didn't work. Lol. I use Goodreads but it's not the greatest method as I just have one huge shelf for all of my 500+ books that are marked "to-read". Any time I try to scroll through them Goodreads freezes my computer. I keep a simple notebook on hand to track review requests and check them off as I go. Yes 500+ books doesn't seem like it is that helpful especially if your screen freezes. I keep track of my review requests separately as well. I like it and it's pretty. Very interesting idea, but, I think I'm going to keep it to Goodreads and my endless list on paper :p But your pinterest does look pretty! I'm always surprised to see people write their lists on paper. I should be because I'm more organized with anything if I write instead of putting it on the computer.